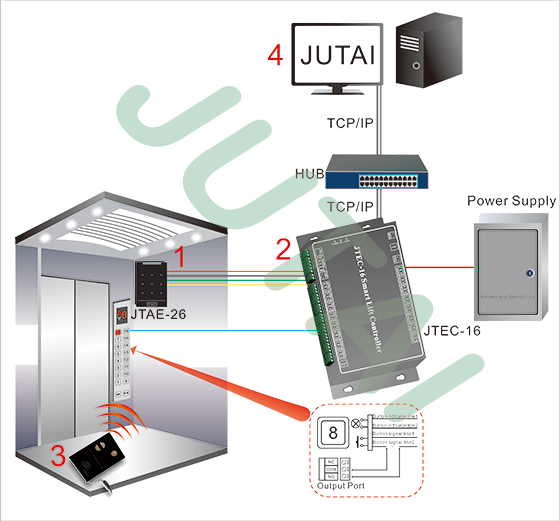 ShenZhen JUTAI JTEC-16 series elevator control broad is main for elevator hierarchical control and personnel access control The user must hold the relative card and card ID be read automatically by JTAE-26 dual frequency hands free reader, and people can go to the assigned floor after elevator judge the card is valid. Support up to 26000 cards and 100000 records. 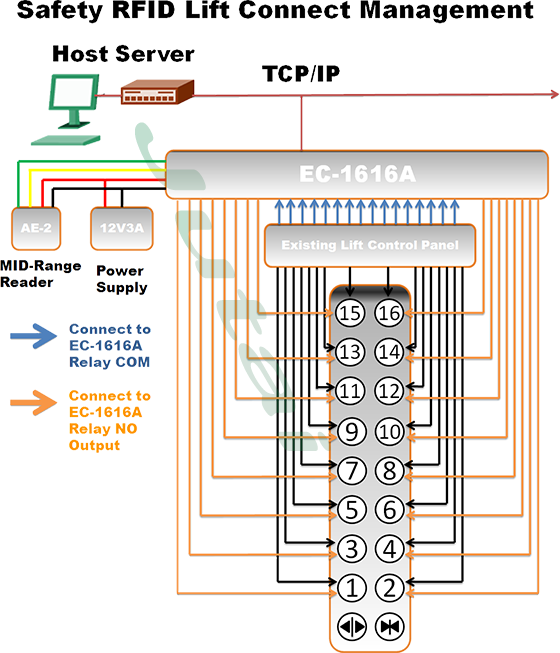 Additional extension control board to support 64 floors in max.The operator can set 64 groups different time zone and specify which floor and when the user can access. the control system work with our passive RFID Tags,can be read from 1-3Meters.you can put the tags in your bag,not need to looking for the card,also not need to flash the tags.it is automatic. 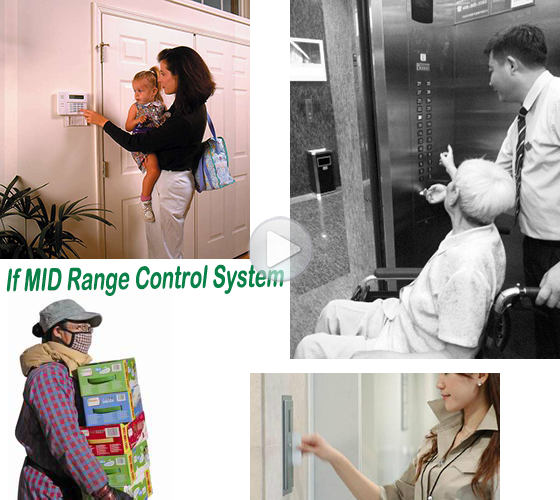 JT EC-1616A can control 16 floors lift,max is 64 floors. work with our MID range& Short Range Reader. Not need to looking for the card everyday. View more..